Low Line Dual Pitch – This subtle and low pitched roof allows plenty of interior height, with a shallow pitch reflected by a shallow vaulted ceiling with visible feature rafters stained to match (excludes Classic Micro and Classic Solo). This roof line rarely requires planning permission. Heavy duty bitumen shingles sit on an 18mm OSB substrate for strength and acoustic advantages.The design includes a classic rain shadow to protect the body of the building. Available as standard on Classic and Suffolk Barn ranges. of additional height with large feature rafters and a high vaulted ceiling. It also has a porthole window for high-level light and a lot of charm. Heavy-duty bitumen shingles sit on an 18mm OSB substrate for strength and acoustic advantages. This design includes a rain shadow to protect the body of the building. Available as standard on all MAX sizes and an optional upgrade on all ranges. Cantilevered – This is similar to the High Line Dual Pitch, but has a 1.2m extension to the front elevation creating a lovely porch or veranda. Ideal when facing due south or west, this additional feature is a firm family favourite for summer evenings. Heavy-duty bitumen shingles sit on an 18mm OSB substrate for strength and acoustic advantages. The design includes a classic rain shadow to protect the body of the building. May require planning permission in some locations. Available on Classic and Suffolk Barn ranges only. Hidden – This low key and unobtrusive roof sits inside the cowling of the fascia within the smooth lines of the Ultra. A strong EDPM rubber coating sits upon a robust 18mm OSB substrate with a gentle but hidden mono pitch roof. Unlikely to require planning permission in most locations. Available on the Ultra range only. Select definitive white windows or choose an alternative finish. All SMART buildings are specified with high quality, white pvcu windows and doors as standard. They are manufactured to current building regulations and include high specification security and environmental accreditation. All windows and doors include 28mm sealed units with low-e glass. The attractive Grey finish to the exterior of our windows and doors bring a fresh and contemporary addition to all Smart buildings – which works particularly well when located with the Orchard Green and Newton’s Green exterior colours. The Cream finish offers a softer, warmer feeling inside and out – which works particularly well with the Orchard Green and Newton’s Green exterior colours. Designed and hand built in our factory, the VersaDesk range was created to allow SMART owners to optimise their workspace. Fully fitted in your Smart at the time of installation, a VersaDesk provides a comfortable and ergonomic work space, maximising available interior space. With a fully sculpted work surface, the VersaDesk provides a full cockpit style work area – with everything within arm’s reach. Complemented by the fitted adjustable shelves and cupboard space, the VersaDesk is the perfect addition to every SMART. Available in white, beech and walnut. Can be used by two people, but tends to be popular as a one-person workspace offering an unparalleled 2m+3m+2m workspace. 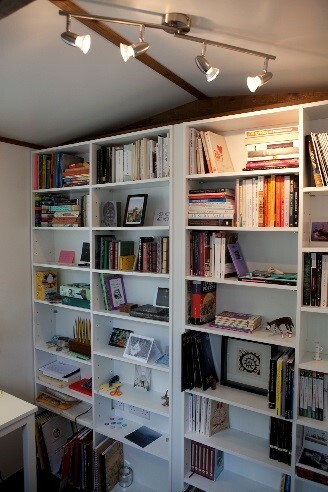 Whether you are planning office space or leisure, a SMART bookcase will compliment any garden room. Clip in frame’ aluminium venetian blinds to add a touch of luxury and privacy. Manufactured in the UK to our specification, these blinds are very high quality and will compliment your Smart beautifully. 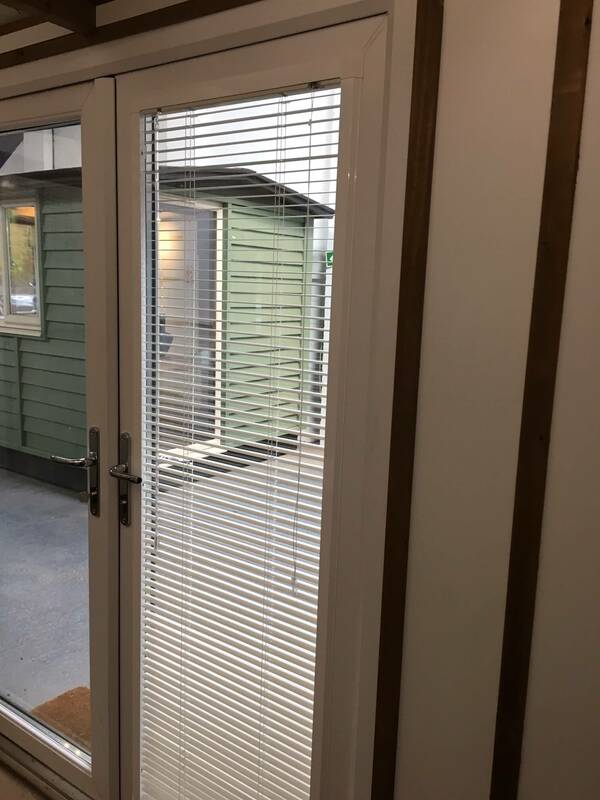 Finished in white aluminium, these blinds are both slimline and attractive and have the added benefit of clipping into the framework of your doors and windows, so are very unobtrusive and give a polished look. For an extra special finish to your SMART garden room, and as you would expect, you are also able to design the interior of your building to your own taste. 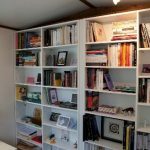 All Smarts come as standard with low maintenance smooth white silk interior walls, complimented with natural timber beading, but if you prefer a painted interior, then we have a variety of options available to assist you in creating your perfect space. Every SMART is provided with a 1.5kw oil-filled thermostatically controlled portable radiator or if you prefer a more modern look, this can be upgraded to a slimline wall panel heater. No matter what you plan to use your new space for there is a flooring option to suit. Durable carpet or luxury wood effect vinyl are supplied as standard with the ability to upgrade to a stunning hardwood floor. A Book Nook is a perfect place to get away and relax; a beautiful window seat surrounded by bookshelves which add a fantastic feature to your garden room. With a choice between modern LED downlights, cool white panel lights or 4 bar spotlights, you can create the perfect ambience in your SMART garden room. External lighting is available as an optional extra on all SMART buildings, positioned wherever you decide. Choose from a classic bulkhead light with inbuilt PIR sensor, a traditional drop lantern or a contemporary pillar light. There is a lighting option to suit all tastes and complement all of our ranges. In many locations a fitted deck will complement your Smart building and provide you with additional outside seating space. We offer a range of decks to suit all of our ranges, fitted by our team at the time of installation. Created to fit your garden and to be within your budget, ask us to include a deck in your quotation when your garden is surveyed. Can’t see what you are looking for? Our sole aim is to create you your perfect garden space and we are constantly striving to improve our products. Therefore if there is something that your dream garden room just has to have, whether that be; air con, rooflights, noise reduction soundproofing, laminate flooring, self cleaning glass, more size options, an alternative interior finish or Smart technology upgrades, then just give us a call and we will be happy to discuss your requirements further. Please fill in the form to request our latest catalogue. It gives details of our full range of buildings and optional extras. Alternatively give us a call or drop us an email and we’ll be happy to answer your questions. hursday was a blur but Tony and Arris were fantastic on both days!! The office was gone by 2pm on the Wednesday and back up by 1pm on the Thursday. They just got on with it and made the whole thing stress free so thank you all so much for all your help – I am so very grateful.. Your service was excellent from concept to build; you could not have been more helpful. The build itself was breathtaking in it’s organisation and execution and nothing was too much trouble for your installation team; they were helpful and knowledgeable throughout – even fitting water butts at very short notice for us. When we had a small issue with the door adjustment you went out of your way to get someone to us as soon as possible. I can’t fault your after-care service. We design, manufacture and install a broad range of purpose-built garden offices and buildings. 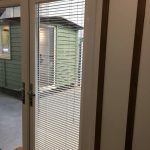 We create our buildings, here in our own factory, to the very highest of standards to be the most comfortable, attractive, robust and long lasting garden offices available.